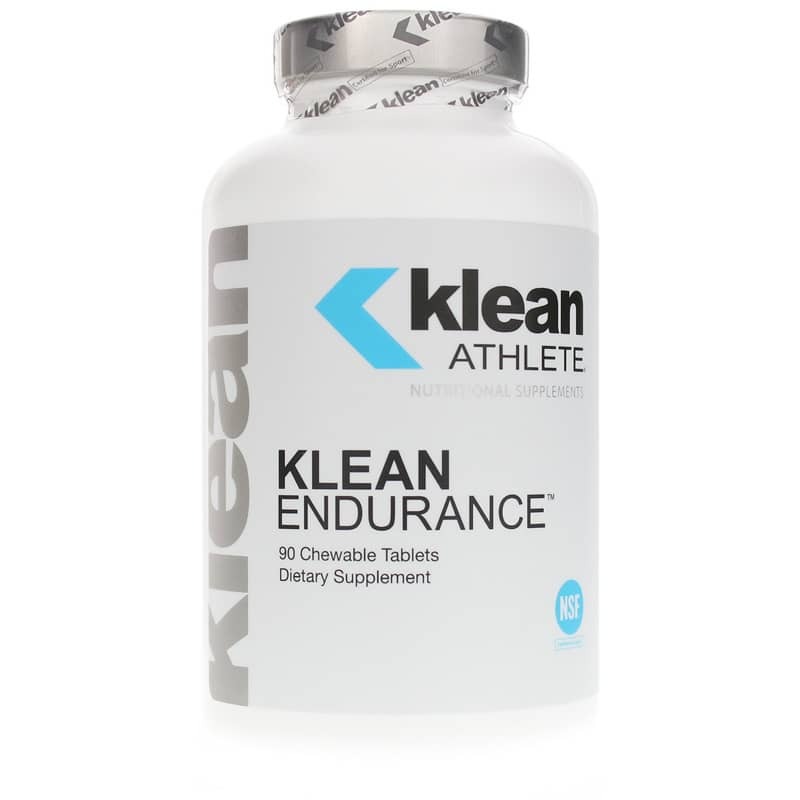 Klean Endurance by Klean Athlete may help athletes restore energy, support cardiac function, and reduce muscle stiffness, soreness, and fatigue. This great-tasting chew supports the natural way your body produces energy with all-natural d-ribose. 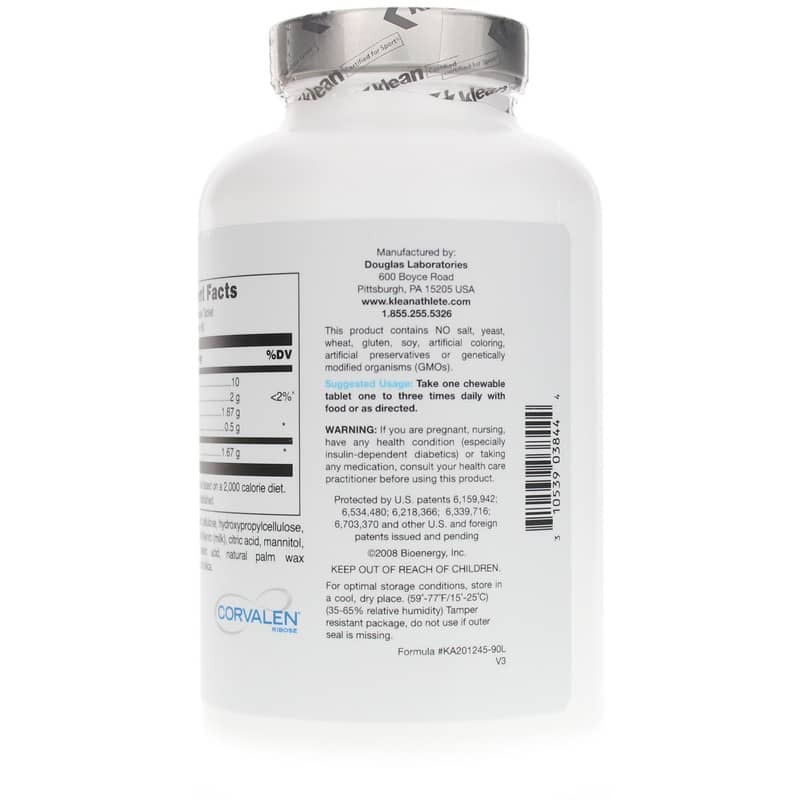 D-ribose is a sugar your body uses to produce ATP, or adenosine triphosphate, the source of chemical energy in your skeletal muscles that enables them to contract and relax. When your muscles have sufficient ATP levels, you should be less susceptible to muscle fatigue, tightness, and cramping. D-ribose may also help reduce the loss of energy during stress and accelerate energy and tissue recovery. Energy depletion may negatively affect muscle performance or how you feel after exercise. The loss of energy in muscles contributes to the common symptoms of stiffness, soreness, weakness, and pain after exercise. Protein synthesis, of vital importance to athletes, can also be affected. Klean Endurance has been approved by the NSF Certified for Sport program, which was established to meet the growing demands of athletes, coaches, and healthcare professionals to guarantee that sports supplements are free from banned substances. 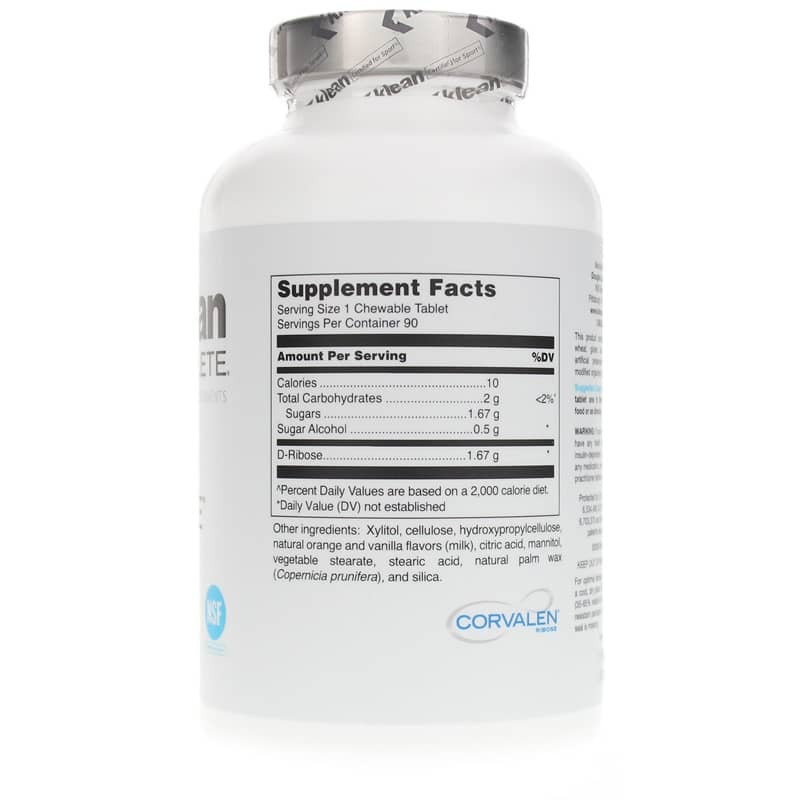 For best results, take 1-3 chewable tablets within 15-30 minutes before and just after exercise or physical activity. This formula is best taken with a food or sugar source to avoid low blood sugar. Klean Endurance chewable tablets are sweetened naturally and contain natural orange/vanilla flavoring. Contains NO: salt, yeast, wheat, gluten, soy, corn, dairy products, artificial flavoring or colors, preservatives or ingredients of animal origin. Adults: Take 1 to 3 chewable tablets just before (within 15-30 minutes) and just after exercise or physical activity. Best taken with a food or sugar source to prevent low blood sugar from occurring. Mild, transient hypoglycemia may occur if taken on an empty stomach. Insulin dependent diabetics and pregnant women should consult their physician before use. Keep out of the reach of children. Although D-ribose is a pentose sugar, it does not raise blood sugar levels. D-ribose is rapidly and readily (approx. 95%) absorbed with peak blood levels found within 30 to 45 minutes after ingestion.